This is Tourmaline Glass/ Nano/ Hydro.This is made on order at our factory in Jaipur. 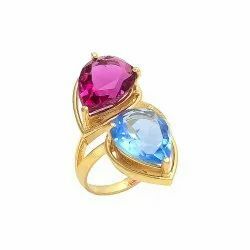 we are manufacture of all type precious and semi-precious gemstone. we have all type tourmaline cut/cabochon/beads/fancy/rose cut/chekar board/talpe and other thing. 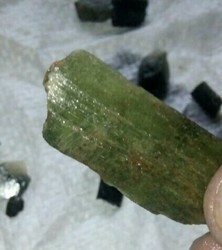 Tourmaline rubellite top quality rare pieces. We are manufacturer and exporter of Tourmaline Pear Shape Stone for Apparel Industry. Having a different shape, these stones are in great demand being bestowed with flawless cuts and perfect finish. We are offering Pink Tourmaline Chips to our clients. Products Price: 9 $ per line 'Based on the dollar and may vary as per dollar fluctuation. 13 Inch Pink Tourmaline Shaded 3mm-4mm faceted Roundell beads Gemstone.